Andrea, It was sweet, but in a good way. I think I might try to tone the sweet down a bit on my next venture with this, and maybe add some other extracts to it as well. I bet a few drops of orange would make it amazing! Very interesting recipe, looks good. Hi! We loved this pudding, like a dessert that's a veggie. You reminded me how much I am looking forward to squash season. Thanks for the great shout out!! I've never heard of a squash pudding before, but one of the great things about SRC is trying out new recipes. I love squash so I'll have to bookmark this recipe to try soon! What a simple but unusual recipe for SRC Reminds me of a bread pudding but with squash! Who would've thought squash would show up in a dessert! Looks yummy! oh we love squash here, but who knew a squash pudding! might have to give this a try since we have some squash in the freezer and wasn't sure what to make with it. 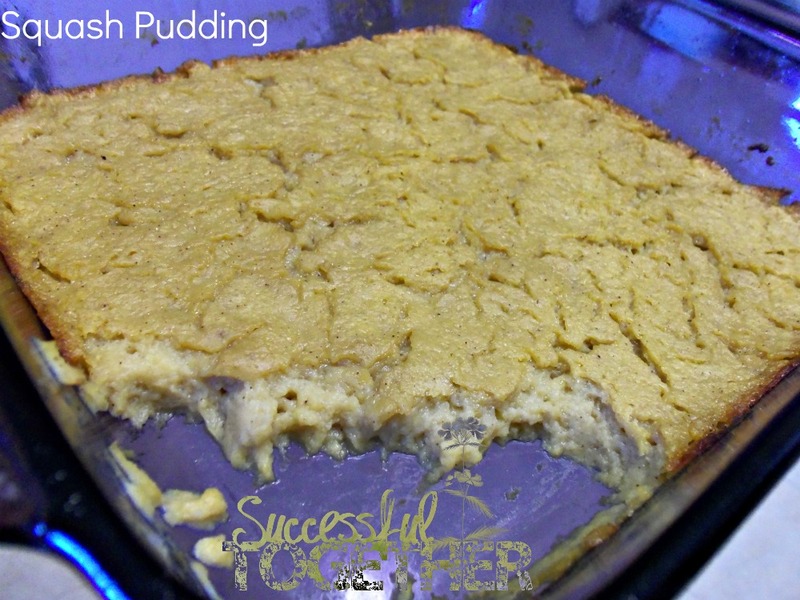 Squash pudding is a weird name, but this recipe actually sounds really good to me! Thanks for providing me with such a great recipe this month! Be sure to stop by Seasonal Potluck this month to link up your pineapple or strawberry recipes http://bit.ly/KeYUr2 Or surf the collection to find some recipe inspiration! I love squash...this sounds interesting. That pudding looks great - would be perfect pre-dessert side for a big family meal. We are swimming in yellow squash (and zucchini) already this summer. Love the concept of this, may change up the spices and eliminate the sugar to make it a savory side. Thanks for including WW PointsPlus too.